The end of the school year will be here before you know it. 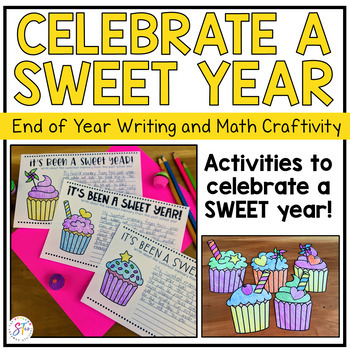 Celebrate the end of a SWEET year with these fun activities. 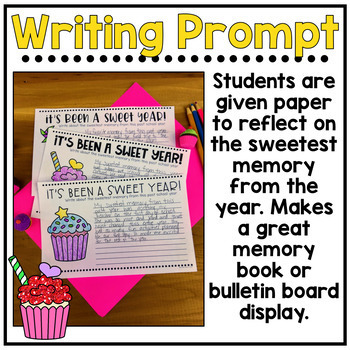 Students will create a memory flipbook, reflect on the year with a cupcake glyph and write about their sweetest memory. These activities are not only fun for students, but still keep them learning up until the very last day. Cupcake GLYPH - Students will respond to a series of questions about the school year to create and decorate their unique cupcake. Once students have created their cupcake, they can look at their classmates and analyze their responses. 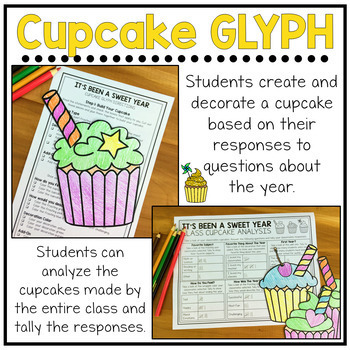 Students can interpret each cupcake and tally their classmates responses on an included recording sheet. 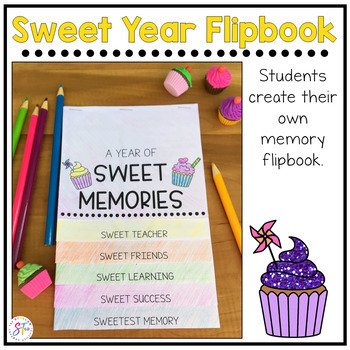 Sweet Year Flipbook - Students can think back to all their sweet memories from the year. They can write about their sweet teacher, their sweet classmates, their sweet successes, and their sweetest memory. This makes a great end of year memory book and is fun for kids to make. Sweet Year Writing Prompt -This is simple, yet fun. Students are asked to write about their sweetest memory from the year. I always challenge my kids to make their very last writing their absolute best. If you keep all the student responses, you can turn it into your own memory book that you can share with next year's class. Have fun celebrating the end of a sweet year with your students!